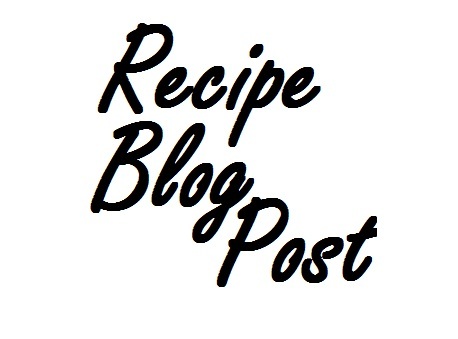 Today I'm recapping all of my blog posts where I share different recipes with you all! My How-To Blog Posts post got a lot of hits so I decided to keep going with these recaps. I'm glad you all are liking these and if you ever want to see all of the blog post you can scroll to the right side and look for the "ARCHIVES" drop down menu. These post will range from recipes that I found on Pinterest to my collab with Blue Apron. If you want to see any other recipes on the blog remember to comment down below. Blue Apron was a really fun and easy way to start cooking especially once Omar and I had our own place. All the ingredients came in this perfect box and the instructions were so easy. It's not something we do now that we're both on this nutrition place with our trainer but it's still a great way for first-time cookers to get into the swing of cooking. I would highly suggest looking into Blue Apron, Hell Fresh or any other subscription service if you're just starting out in the kitchen. Honestly, it's not expensive either. We tried all of the following recipes: Vegetable Bibimap & Kimchi, Fontina Preserved Lemon Grilled Cheese Sandwiches, and Mushroom & Collard Green Calzones. This isn't really a "recipe" one but it goes along the lines of food and it was definitely one of my favorite post to write. Things Vegetarians Hate Hearing, classic. I learned this recipe from Mama Katz and it's a sweet one. This Quick & Easy Pudding Pie Recipe was something my mom and I made for my birthday one year and I can't believe she held on to this recipe for as long as she did. Not only is it my new favorite treat but also Gabe's so he makes me make it for him.. a lot. Again, this one isn't really a "recipe," but it is food related. I made this fun Starbucks Gingerbread Cafe for Christmas a couple years ago and although it turned out really ugly, it tasted really good! When my family and I decided to start going to the beach for Thanksgiving it became a new family tradition. I even decided one year I wanted to make Apple Pie From Scratch. It was really hard and messy! It was delicious though especially paired with vanilla ice cream. This recipe is for all you dog lovers out there! No, I didn't cook a dog, calm down. I did however put up a recipe about how you can Make Your Own Dog Food. Also, I shared how I made Oliver's birthday cake in this post here. I hope you enjoy these recipes! Remember to tag me in any pictures if you choose to make some and stay tuned for more recaps on the blog coming soon.